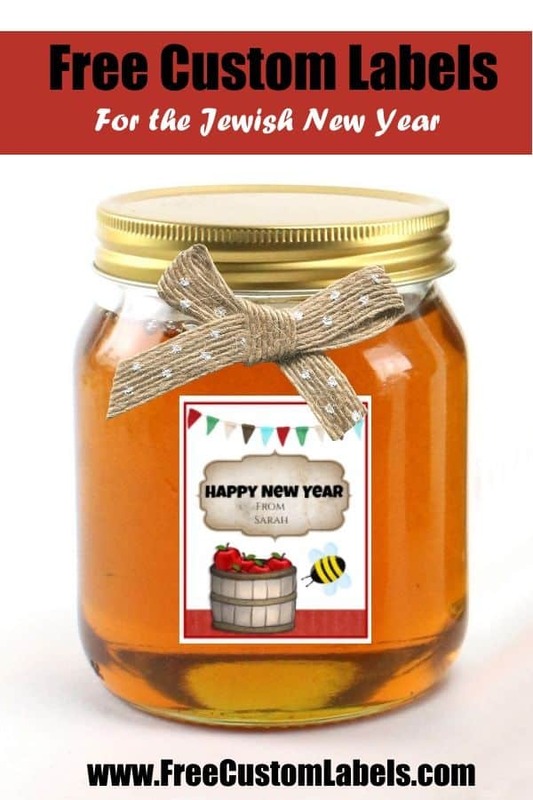 These labels read Happy New Year but the next can be customized. 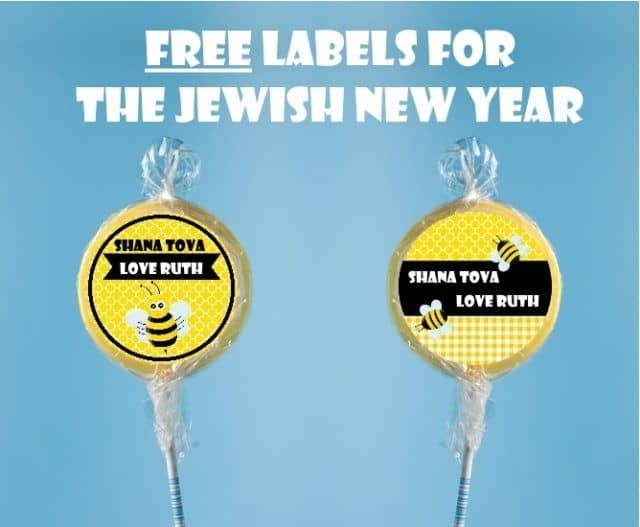 You can change it to Rosh Hashana or Shana Tova or whatever you want. You can also add your name. 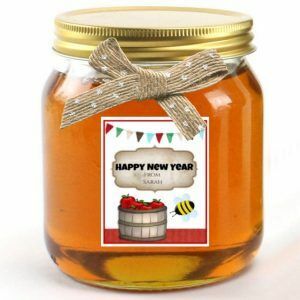 If you are looking for Rosh Hashana gift ideas you might like the apple cider gift pack that can be created with these labels to make a DIY gift.